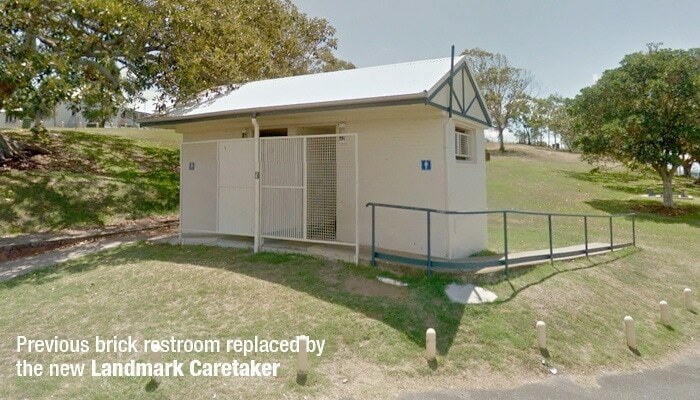 It was time for the old brick restroom to make way for a bright, new, ventilated, easily-cleaned upgrade. 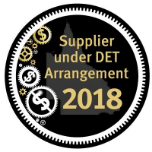 The only similarity between the old and new is the colour. 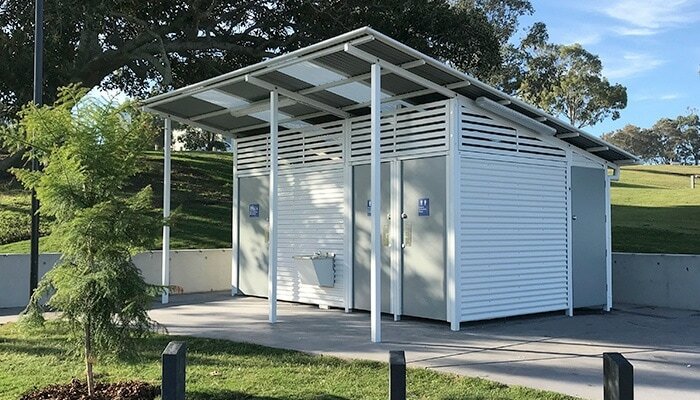 Everything about the new Landmark restroom is designed to suit the highly corrosive location – on the foreshore of Moreton Bay at Shorncliffe in Brisbane – and to offer a safe, clean public amenity. 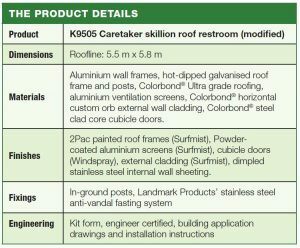 This restroom, based on Landmark’s Caretaker Series, features aluminium wall frames and powder-coated aluminium ventilation screens. 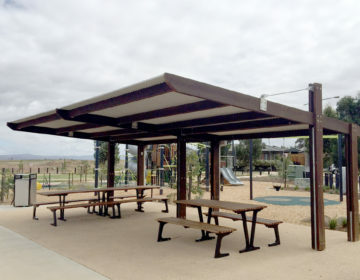 Built in Frank Doyle Park, the new restroom also featured “Ultra” grade Colorbond® roofing, cladding, flashings, gutters and downpipes – all in response to the high salt location. Even the doors are “Ultra” grade. 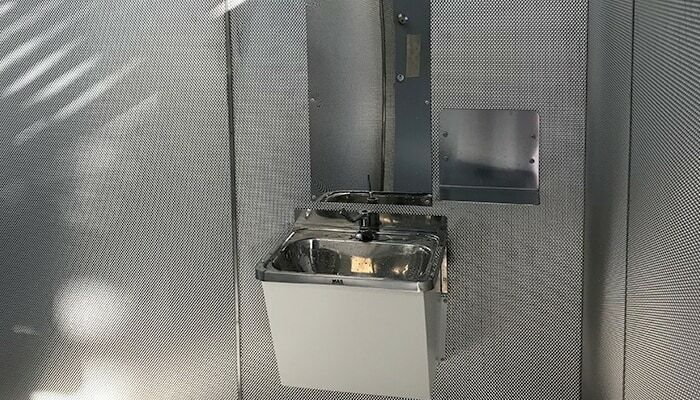 An internal feature of the restroom is the use of dimpled stainless-steel internal wall sheeting with plywood backing – a low maintenance, easily cleaned, smart-looking finish, also resistant to salt corrosion. 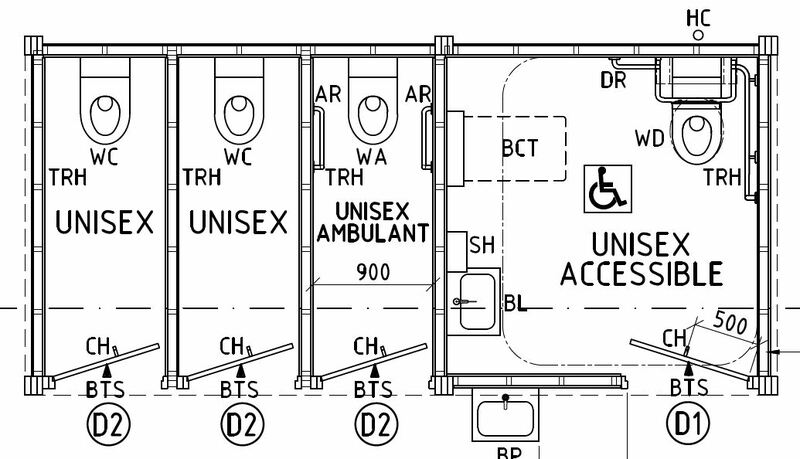 All toilet cisterns of the unisex accessible and two unisex ambulant cubicles are within the service duct at the rear of the facility, allowing for easy repair and maintenance. A 50mm gap between the slab and the external wall, and translucent Wonderglas panels in the roof, mean a ventilated, illuminated, easily cleaned structure. 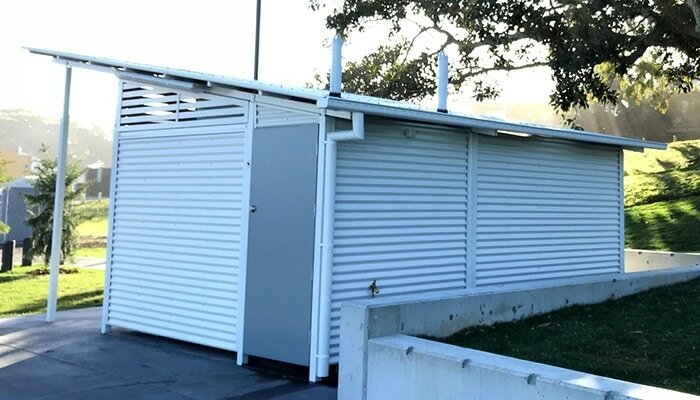 As with all Landmark structures, the restroom was delivered in kit-form, on-site, meaning quicker construction and less site disturbance.